The fear of suffering is worse than suffering itself and no heart has ever suffered when it goes in search of its dream. I think this quote amazingly suits the man who never compromised on his dreams and who kept struggling to live up to them one day. Ladies and Gentlemen presenting you “Fakhar Zaman”, the rising star of Pakistan Cricket Team. Pakistani left handed opener Fakhar Zaman who inspired each one of us. He was born in a small village situated near the city of Mardan. A city of another legendary Batsman Younis Khan. He had to face many difficulties in his life for and he had worked hard to reach to the position where he is today. An incredible story that only few of us hold. 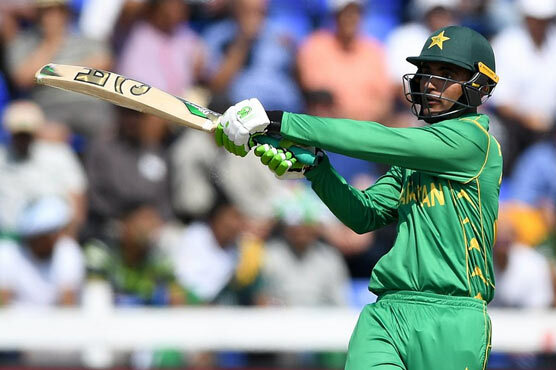 Fakhar’s story started when he joined Pakistan Navy as a cadet but while serving for forces he realized his potential for games and he was re inducted to the Naval Forces as a sportsman. This was the gateway to his never ending journey. Fakhar Zaman was a Sipahi in Pakistan Navy, played for Navy, then Alamgir Gymkhana in Karachi, played inter-district and then FC for Khi. After playing at district level and then K-U21 and K-U23 his talent was introduced to domestic cricket and played a wonderful innings of 115 runs for KP in Pakistan cup tournament. His potential as an attacking Batsman was further realized while he was playing for Pakistan ‘A’ team against the Zimbabwe and England. Fakhar came into limelight in the second edition of PSL where he played for Lahore Qalandars which happened this year. Champions Trophy 2017 was one of the biggest challenges when Pakistan had to qualify for the upcoming world cup and Fakhar not only impressed everyone with his amazing skills but has been a major factor in Pakistan’s victory in the crucial matches with Sri Lanka and England and the cricket gurus took twitter to storm in praising him. It was a pleasant surprise watching Pakistani openers batting so well after ages as I belong to the era of a legendary opening pair of Amir sohail and Saeed Anwar and always used to take pity on PCB for not finding any great talent for Pakistan to start their journey with a strong base. Pakistani batting line was once considered equivalent to the bowling side but gradually it deteriorated to the level where we started relying on bowling side in order to win a match for us, In this time of despair addition of Fakhar Zaman is the sigh of relief. The biggest test of his nerves and skill set would be playing against Indian rivals where usually our team collapse we have been waiting for a match well fought. Fakhar make us realize the importance of making our dreams come true by standing and fighting for them and we must not forget that wherever our heart is there we find our treasure.